For other uses, see Tesco (disambiguation). Tesco plc (/ˈtɛs.koʊ/) trading as Tesco, is a British multinational groceries and general merchandise retailer with headquarters in Welwyn Garden City, Hertfordshire, England, United Kingdom. It is the third-largest retailer in the world measured by gross revenues and ninth-largest retailer in the world measured by revenues. It has shops in seven countries across Asia and Europe, and is the market leader of groceries in the UK (where it has a market share of around 28.4%), Ireland, Hungary and Thailand. Tesco was founded in 1919 by Jack Cohen as a group of market stalls. The Tesco name first appeared in 1924, after Cohen purchased a shipment of tea from T. E. Stockwell and combined those initials with the first two letters of his surname, and the first Tesco shop opened in 1931 in Burnt Oak, Barnet. His business expanded rapidly, and by 1939 he had over 100 Tesco shops across the country. Originally a UK grocer, Tesco has expanded globally since the early 1990s, with operations in 11 other countries in the world. The company pulled out of the USA in 2013, but as of 2018[update] continues to see growth elsewhere. Since the 1960s, Tesco has diversified into areas such as the retailing of books, clothing, electronics, furniture, toys, petrol, software, financial services, telecoms, and internet services. In the 1990s Tesco repositioned itself from being a down-market high-volume low-cost retailer, to one designed to attract a range of social groups by offering products ranging from low-cost "Tesco Value" items (launched 1993) to its "Tesco Finest" range. This broadening of its appeal was successful and saw the chain grow from 500 shops in the mid-1990s to 2,500 shops fifteen years later. Tesco is listed on the London Stock Exchange and is a constituent of the FTSE 100 Index. It had a market capitalization of approximately £18.1 billion as of 22 April 2015, the 28th-largest of any company with a primary listing on the London Stock Exchange. Jack Cohen, the son of Jewish migrants from Poland, founded Tesco in 1919 when he began to sell war-surplus groceries from a stall at Well Street Market, Hackney, in the East End of London. The Tesco brand first appeared in 1924. The name came about after Jack Cohen bought a shipment of tea from Thomas Edward Stockwell. He made new labels using the initials of the supplier's name (TES), and the first two letters of his surname (CO), forming the word TESCO. After experimenting with his first permanent indoor market stall at Tooting in November 1930, Jack Cohen opened the first Tesco shop in September 1931 at 54 Watling Street, Burnt Oak, Edgware, Middlesex. Tesco was floated on the London Stock Exchange in 1947 as Tesco Stores (Holdings) Limited. The first self-service shop opened in St Albans in 1956 (which remained operational until 2010 before relocating to larger premises on the same street, with a period as a Tesco Metro), and the first supermarket in Maldon in 1956. In 1961 Tesco Leicester made an appearance in the Guinness Book of Records as the largest shop in Europe. During the 1950s and 1960s, Tesco grew organically, and also through acquisitions, until it owned more than 800 shops. The company purchased 70 Williamson's shops (1957), 200 Harrow Stores outlets (1959), 212 Irwins shops (1960, beating Express Dairies' Premier Supermarkets to the deal), 97 Charles Phillips shops (1964) and the Victor Value chain (1968) (sold to Bejam in 1986). Jack Cohen's business motto was "pile it high and sell it cheap", to which he added an internal motto of "YCDBSOYA" (You Can't Do Business Sitting On Your Arse) which he used to motivate his sales force. In May 1987, Tesco completed its hostile takeover of the Hillards chain of 40 supermarkets in the North of England for £220 million. In 1994, the company took over the supermarket chain William Low after fighting off Sainsbury's for control of the Dundee-based firm, which operated 57 shops. This paved the way for Tesco to expand its presence in Scotland, in which its presence was weaker than in England. Tesco introduced a loyalty card, branded 'Clubcard' in 1995, and later an Internet shopping service. In 1996 the typeface of the logo was changed to the current version with stripe reflections underneath, whilst the corporate font used for shop signage was changed from the familiar "typewriter" font that had been used since the 1970s. Overseas operations were introduced the same year. Terry Leahy assumed the role of Chief Executive on 21 February 1997, the appointment having been announced on 21 November 1995. On 21 March 1997, Tesco announced the purchase of the retail arm of Associated British Foods, which consisted of the Quinnsworth, Stewarts and Crazy Prices chains in Ireland and Northern Ireland, and associated businesses, for £640 million. The deal was approved by the European Commission on 6 May 1997. The company was the subject of a letter bomb campaign lasting five months from August 2000 to February 2001 as a bomber calling himself "Sally" sent letter bombs to Tesco customers and demanded Clubcards modified to withdraw money from cash machines. The company started to expand the range of products it sold during the 1960s to include household goods and clothing under the Delamare brand, and in 1974 opened its first petrol station. In July 2001, Tesco became involved in internet groceries retailing in the USA when it obtained a 35% stake in GroceryWorks. In 2002, Tesco purchased 13 HIT hypermarkets in Poland. It also made a major move into the UK's convenience shop market with its purchase of T & S Stores, owner of 870 convenience shops in the One Stop, Dillons and Day & Nite chains in the UK. In June 2003, Tesco purchased the C Two-Network in Japan. It also acquired a majority stake in Turkish supermarket chain Kipa. In January 2004, Tesco acquired Adminstore, owner of 45 Cullens, Europa, and Harts convenience shops, in and around London. In Thailand, Tesco Lotus was a joint venture of the Charoen Pokphand Group and Tesco, but facing criticism over the growth of hypermarkets CP Group sold its Tesco Lotus shares in 2003. In late 2005 Tesco acquired the 21 remaining Safeway/BP shops after Morrisons dissolved the Safeway/BP partnership. 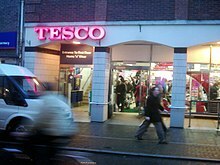 In mid-2006 Tesco purchased an 80% stake in Casino's Leader Price supermarkets in Poland, which were then rebranded as small Tesco shops. On 9 February 2006, Tesco announced plans to move into the United States by opening a chain of small format groceries in the Western states (Arizona, California and Nevada) in 2007 named Fresh & Easy. In 2010, Tesco started funding a small film studio intended to produce Tesco exclusive direct-to-DVD films. The first film was released on 6 September called Paris Connections, based on a popular novel by Jackie Collins. Tesco confirmed in April 2013 that it was pulling out of the US market (Fresh & Easy Stores), at a reported cost of £1.2 billion. In September 2013, Tesco announced that it would sell the business to Ronald Burkle's Yucaipa Companies for an undisclosed amount. In September 2013, Tesco launched its first tablet computer, a seven-inch model called Hudl. Tesco purchased the restaurant and cafe chain Giraffe in 2013 for £48.6 million. In 2014, it began to open restaurants within some of its shops. The company set up Tesco Family Dining Ltd in 2014 as part of a new department called 'new food experience', including Core Cafes, Giraffe, Decks and Euphorium bakeries. That year, Tesco reached an agreement to take the in-shop cafes run by Compass Group and Elior back under its own control, so as to improve its dining offering. On 1 September 2014, Dave Lewis, previously of Unilever, took over as CEO. In January 2015, Lewis announced plans to close the company's head office in Cheshunt and 43 loss-making shops in the near future, and the cancellation of 49 new large supermarket developments. The shop closures were expected to make 2,000 staff redundant, while a further £250 million of cost-cutting measures were planned. Tesco also confirmed the sale of its Blinkbox on-demand video service and its fixed-line telephone and broadband business to TalkTalk. Tesco sold the Blinkbox Music streaming service to Guvera on 26 January 2015, and confirmed it would close its Blinkbox Books service by the end of February 2015. In April 2016, Tesco confirmed the sale of 8.6% of its holding in Lazada Group, leaving it with an 8.3% stake. It was also reported to be seeking to sell Dobbies Garden Centres, Giraffe Restaurants and Harris + Hoole to concentrate on its main supermarket business. On 27 January 2017, it was announced that Tesco had reached an agreement to merge with Britain's biggest wholesaler Booker Group to create the UK's largest food group, there are however concerns over market dominance with Tesco being Britain's largest food retailer and Booker being the UK's largest wholesaler. It was announced in March 2017 that Trevor Masters, International Chief Executive, would be leaving in May after 38 years with the company. On 1 April, Tony Hoggett became Tesco's CEO for Asia, and Matt Simister became CEO for Central Europe. In April 2017, the company confirmed it would sell its in-shop opticians' business to Vision Express. In June 2017, Tesco announced a major cost-cutting initiative that would reduce the company's workforce by over 1,200 workers. Key reductions included over a quarter of its employees in Welwyn Garden City and Hatfield, and the closure of the call centre in Cardiff. The company hoped to reduce costs by £1.5 billion. In January 2019, Tesco announced another cost-cutting initiative that would close the food counters in 90 stores, affecting around 9,000 workers. Tesco Extra shops are larger, mainly out-of-town hypermarkets that stock nearly all of Tesco's product ranges, although some are in the heart of town centres and inner-city locations. The largest shop in England by floor space is Tesco Extra in Walkden, with 17,230 square metres (185,500 sq ft) of floorspace. In common with other towns, such as Warrington, the St Helens shop, which at 13,000 m2 (140,000 sq ft) is one of the biggest in England, was developed on the same site as the town's new rugby league stadium. Tesco Superstores are standard large supermarkets, stocking groceries and a much smaller range of non-food goods than Extra hypermarkets. The shops have always been branded as 'Tesco', but a new shop in Liverpool was the first to use the format brand 'Tesco Superstore' above the door. Tesco operates a number of in-shop cafes, but also began to introduce new restaurants in its shops from 2013 under the "Decks Carvery" brand. Tesco Express shops are neighbourhood convenience shops averaging 200 square metres (2,200 sq ft), stocking mainly food with an emphasis on higher-margin products such as sweets, crisps, chocolate, biscuits, fizzy drinks and processed food (due to small shop size, and the necessity to maximize revenue per square foot) alongside everyday essentials. They are located in busy city-centre districts, small shopping precincts in residential areas, small towns and villages, and on Esso petrol station forecourts. In 2010 it became known that Tesco was operating Express pricing, charging more in their Express branches than in their regular branches. A spokesperson said that this was "because of the difference in costs of running the smaller shops". Tesco Metro shops are sized between Tesco superstores and Tesco Express shops, with shops averaging 1,000 square metres (11,000 sq ft). They are mainly located in city centres beside railway stations, the inner city and on the high streets of towns. 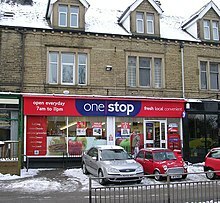 One Stop, which includes some of the smallest shops (smaller than a Tesco Express), is the only Tesco shop format in the UK that does not include the word Tesco in its name. The brand, along with the original shops, formed part of the T&S Stores business but, unlike many that were converted to Tesco Express, these kept their old name. Subsequently, other shops bought by Tesco have been converted to the One Stop brand. Some have Tesco Personal Finance branded cash machines. The business has attracted some controversy, as the prices of groceries in these shops, often situated in more impoverished areas, can be higher than nearby Tesco branded shops, highlighted in The Times 22 March 2010: "Britain’s biggest supermarket uses its chain of 639 One Stop convenience shops–which many customers do not realise it owns–to charge up to 14 per cent more for goods than it does in Tesco-branded shops." Tesco responded to the article stating "It is a separate business within the Tesco Group, with its own supply chain and distribution network. One Stop shops offer a different range to Express shops and its operating costs are different. One Stop’s price strategy is to match to its nearest competitor, Costcutter, and is frequently cheaper." In the United Kingdom Tesco operates a home shopping service through the Tesco.com website. In May 1984, in Gateshead, England, Mrs. Jane Snowball used a piece of computer technology called "Videotex" on her television to purchase groceries from her local Tesco shop in the world's first recorded online shopping transaction from the home. As of November 2006, Tesco was the only food retailer to make online shopping profitable. Tesco launched its customer loyalty scheme, the Tesco Clubcard, in 1995. It has been cited as a pivotal development in Tesco's progress towards becoming the UK's largest supermarket chain and one that fundamentally changed the country's supermarket business. Tesco itself was cited in a Wall Street Journal article as using the intelligence from the Clubcard to thwart Wal-Mart's initiatives in the UK. Cardholders can collect one Clubcard point for every £1 (or one point for €1 in Ireland and Slovakia or 1 point for 1zł in Poland) they spend in a Tesco shop, or at Tesco.com, and 1 point per £2 on fuel (not in Slovakia). Customers can also collect points by paying with a Tesco Credit Card, or by using Tesco Mobile, Tesco Homephone, Tesco Broadband, selected Tesco Personal Finance products or through Clubcard partners, E.ON and Avis. Each point equates to 1p in shops when redeemed, or up to four times that value when used with Clubcard deals (offers for holidays, day trips, etc.) Clubcard points (UK & IE) can also be converted to Avios and Virgin Atlantic frequent flyer miles. Tesco first started selling petrol in 1974. Tesco sells 95, 97 and 99 RON (a fuel developed by Greenergy of which Tesco is a shareholder) petrol from forecourts at most Superstore and Extra locations. Tesco have recently diversified into biofuels, offering petrol-bioethanol and diesel-biodiesel blends instead of pure petrol and diesel at their petrol stations, and now offering Greenergy 100% biodiesel at many shops in the southeast of the United Kingdom. 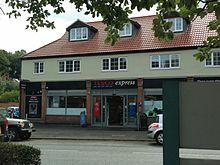 In 1998, Tesco and Esso (part of Exxonmobil) formed a business alliance that included several petrol filling stations on lease from Esso, with Tesco operating the attached shops under their Express format. 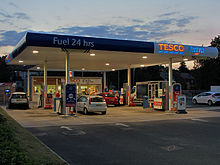 In turn, Esso operates the forecourts and sells their fuel via the Tesco shop. As of 2013, there were 200 joint Tesco Express/Esso sites in the UK. Jack's supermarket in Chatteris, Cambridgeshire, the first store using this brand to open in September 2018. In 2018, Tesco launched a separate budget chain, Jack's, to compete with Lidl and Aldi; the first store opened in Chatteris, Cambridgeshire in September 2018. Tesco completed its acquisition of the food wholesaler Booker in March 2018. Booker also owns the Budgens, Londis, Euro Shopper and Premier Stores brands which operate under franchises. In the United Kingdom Tesco offers financial services through Tesco Bank, formerly a 50:50 joint venture with The Royal Bank of Scotland. Products on offer include credit cards, loans, mortgages, savings accounts and several types of insurance, including car, home, life and travel. They are promoted by leaflets in Tesco's shops and through its website. The business made a profit of £130 million for the 52 weeks to 24 February 2007, of which Tesco's share was £66 million. This move towards the financial sector diversified the Tesco brand and provides opportunities for growth outside of the retailing sector. On 28 July 2008, Tesco announced that they would buy out the Royal Bank of Scotland's 50% stake in the company for £950 million. Tesco operates a mobile phone business across the United Kingdom, Ireland, Slovakia, Hungary and the Czech Republic. It first launched in the UK in 2003 as a joint venture with O2 and operates as a mobile virtual network operator (MVNO) using the network of O2 with the exceptions of Hungary where the network of Vodafone Hungary is used and Ireland where Three Ireland is used. As a virtual operator, Tesco Mobile does not own or operate its own network infrastructure. By January 2011 Tesco announced it had over 2.5 million UK mobile customers. Tesco also operated a home telephone and broadband business. Its broadband service launched in August 2004 to complement its existing internet service provider business, providing an ADSL-based service delivered via BT phone lines. In January 2015, Tesco sold its home telephone and broadband business, together with Blinkbox, to TalkTalk for around £5 million. Its customers were transferred by 2016. Tesco acquired a small I.T. support company called The PC Guys in 2007, and were able to launch Tesco Tech Support in December 2008. In the 1960s, Tesco set up a non-food division, Tesco Home 'n' Wear, headed by Leslie Porter. It had stand-alone shops and departments in larger shops, and from 1975 a distribution centre in Milton Keynes. Although Tesco continued to stock non-food items the stand-alone shops were closed and the name was no longer in use when Tesco Extra was launched. In May 2005, Tesco announced a trial non-food only format near Manchester and Aberdeen, and the first shop opened in October 2005. The shops offered all of Tesco's ranges except food in warehouse-style units in retail parks. Tesco introduced the format as only 20% of its customers had access to a Tesco Extra, and the company was restricted in how many of its superstores it could convert into Extras and how quickly it could do so. Large units for non-food retailing are much more readily available. The format was not Tesco's first non-food only venture in the UK. 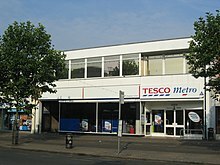 Until the late 1990s/early 2000s there were several non-food Tesco shops around the country including Scarborough and Yate. Although not in a warehouse-style format, the shops were located on high streets and shopping centres, and stocked similar items to Homeplus shops. In both cases this was because another part of the shopping centre had a Tesco Superstore that stocked food items only. By 2014, the number of Homeplus shops in the United Kingdom had reached 12; the newest shop opened in Chester in July 2009. In 2012 it was reported that Tesco was looking to close the business to focus on groceries. Tesco closed six Homeplus shops on 15 March 2015, and the remaining six shops closed on 27 June 2015. 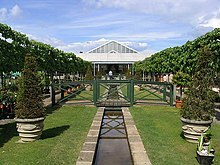 Dobbies is a chain of garden centres across Scotland, England and Northern Ireland. 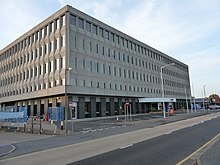 Tesco completed its acquisition of Dobbies in 2008, and the company continued to trade under its own brand, from its own head office in Melville, near Edinburgh. On 17 June 2016, Tesco sold the company on to a group of investors led by Midlothian Capital Partners and Hattington Capital for £217 million. In 2012, Tesco invested in a new coffee shop chain, named Harris + Hoole after coffee-loving characters in Samuel Pepys' diary. Tesco took full ownership of the business from its founders Nick, Andrew and Laura Tolley in February 2016, and agreed in June 2016 to sell it to Caffè Nero. Giraffe is a restaurant chain in the United Kingdom which Tesco purchased in March 2013 as part of a strategy of making use of excess space in its shops. Tesco sold the chain to Boparan Holdings in June 2016. Euphorium Bakery opened a concession in Tesco's Kensington shop in 2012, and in 2013 Tesco bought a stake in the business. It purchased the remaining stake in April 2015. In August 2016, Tesco sold Euphorium's high street shops and factory in Islington to Soho Coffee, and its factory in Weybridge to Samworth Brothers. Tesco has expanded its operations outside the UK to 11 other countries in the world. The company pulled out of the USA in 2013, but as of 2018[update] continues to see growth elsewhere. Tesco's international expansion strategy has responded to the need to be sensitive to local expectations in other countries by entering into joint ventures with local partners, such Charoen Pokphand in Thailand to form Tesco Lotus, and by appointing a very high proportion of local personnel to management positions. It also makes small acquisitions as part of its strategy: for example, in its 2005/2006 financial year it made acquisitions in South Korea, one in Dubai, UAE; one in Poland and one in Japan. On 7 September 2015, Tesco sold its South Korean business, Homeplus, to MBK Partners and partnered with a Canadian pension fund and Temasek Holdings for the deal. Tesco Ireland was formed by the Tesco PLC 1997 takeover of the Irish retailing operations of Associated British Foods, namely Powers' Supermarkets Limited and its subsidiaries, trading as "Quinnsworth" and "Crazy Prices". According to Citigroup retail analyst David McCarthy, "[Tesco has] pulled off a trick that I'm not aware of any other retailer achieving. That is to appeal to all segments of the market". One plank of this strategy has been Tesco's use of its own-brand products, including the upmarket "Finest", mid-range Tesco brand and low-price "Value" encompassing several product categories such as food, beverage, home, clothing, Tesco Mobile and financial services. Beginning in 1997 when Terry Leahy took over as CEO, Tesco began marketing itself using the phrase "The Tesco Way" to describe the company's core purposes, values, principles, and goals This phrase became the standard marketing speak for Tesco as it expanded domestically and internationally under Leahy's leadership, implying a shift by the company to focus on people, both customers and employees. A core part of the Tesco expansion strategy has been its innovative use of technology. It was one of the first to build self-service tills and use cameras to reduce queues, and an early adopter of NFC contactless payment card technology. In 2016, Tesco developed a mobile payment wallet, PayQwiq using both NFC contactless and barcode technology to allow payment using mobile phones in-shop (along with supporting other contactless mobile wallets such as ApplePay). All figures below are for the Tesco's financial years, which run for 52- or 53-week periods to late February. Up to 27 February 2007 period end the numbers include non-UK and Ireland results for the year ended on 31 December 2006 in the accounting year. The figures in the table below include 52 weeks/12 months of turnover for both sides of the business as this provides the best comparative. Despite being in a recession, Tesco made record profits for a British retailer in the year to February 2010, during which its underlying pre-tax profits increased by 10.1% to £3.4 billion. Tesco then planned to create 16,000 new jobs, 9,000 in the UK. In 2011 the retailer reported its poorest six-monthly UK sales figures for 20 years, attributed to consumers' reduced non-food spending and a growth in budget rivals. By 2014, Tesco appeared to have lost some of its appeal to customers. The share price lost 49 per cent of its value up to October as it struggled to fend off competition from rivals Aldi and Lidl. In October 2014, Tesco suspended 8 executives following its announcement the previous month that it had previously overstated its profits by £250 million. The misreporting resulted in almost £2.2 billion being wiped off the value of the company’s stock market value. The suspended executives included former commercial director Kevin Grace and UK managing director Chris Bush. The profit overstatement was subsequently revised upwards to £263 million following an investigation by the accountancy firm Deloitte, and it was clarified that the inflated profit figure was the result of Tesco bringing forward rebates from suppliers. The Serious Fraud Office (SFO) confirmed on 29 October 2014 that it was carrying out a criminal investigation into the accounting irregularities but declined to give further details. According to Kantar Worldpanel, Tesco's share of the UK groceries market in the 12 weeks to 18 March 2012 was 30.2%, down from 30.6% in the 12 weeks to 18 March 2011. In terms of the wider UK retail market, Tesco sales account for around one pound in every ten spent in British shops. In 2007 it was reported that its share was even larger, with one pound in every seven spent going to Tesco. In 2006, Inverness was branded as "Tescotown", because well over 50p in every £1 spent on food is believed to be spent in its three Tesco shops. By 2014 competition from other retailers led to a fall in Tesco's market share to 28.7%; this was the lowest level in a decade. Tesco made a commitment to corporate social responsibility in the form of contributions of 1.87% in 2006 of its pre-tax profits to charities and local community organizations. This compares favourably with Marks & Spencer, whose 1.51% is lower than Sainsbury's 7.02%. This figure, £42 million, is lower than the amount of money reported to have been avoided in tax during 2007 (see below). Will Hutton, in his role as chief executive of The Work Foundation, in 2007 praised Tesco for leading the debate on corporate responsibility. However Intelligent Giving has criticized the company for directing all "staff giving" support to the company's Charity of the Year. In 1992, Tesco started a "computers for schools scheme", offering computers in return for vouchers given to Tesco customers and donated by them to schools and hospitals. Until 2004, £92 million of equipment went to these organizations. The scheme was also implemented in Poland. In 2009, Tesco used the phrase, "Change for Good" as advertising, which is trade marked by Unicef for charity usage but not for commercial or retail use, which prompted the agency to say, "It is the first time in Unicef’s history that a commercial entity has purposely set out to capitalise on one of our campaigns and subsequently damage an income stream which several of our programmes for children are dependent on." They went on to call on the public "...who have children’s welfare at heart, to consider carefully who they support when making consumer choices." Tesco's own-labels personal care and household products are stated to be cruelty-free, meaning that they are not tested on animals. In June 2011, Tesco announced that it was working with 2degrees Network to create an online hub as part of its target to reduce its supply chain carbon footprint by 30% by 2020. In September 2011 a Greenpeace report revealed that Tesco supermarkets in China were selling vegetables that contained pesticides at levels exceeding the legal limit, or were illegal. A green vegetable sample from Tesco turned up methamidophos and monocrotophos, the use of which has been prohibited in China since the beginning of 2007. A notable 1980s advert was "Checkout 82," which was made in 1982, where a till would have a receipt coming out of it with the prices on. This advert had synthpop music as the backing and people singing "Check it out, check it out". Adverts in the early 1990s had a man called David, portrayed by Dudley Moore, on the hunt for free-range chickens from France and discovering many goods from around the world to purchase for Tesco. Late 2000s adverts included many celebrities and celebrity voice-overs such as The Spice Girls and the voice of actors James Nesbitt and Jane Horrocks. Tesco's main advertising slogan is "Every little helps". Its advertisements in print and on television mainly consist of product shots (or an appropriate image, such as a car when advertising petrol) against a white background, with a price or appropriate text (e.g., "Tesco Value") superimposed on a red circle. Tesco's in-shop magazine is one of the largest-circulation magazines in the United Kingdom, with a circulation of 1.9 million as of 2013[update]. In November 2013, Tesco announced they would introduce face-scanning technology developed by Amscreen at all of their 450 UK petrol stations to target advertisements to individual customers. Criticism of Tesco includes allegations of stifling competition due to its undeveloped "land bank", and breaching planning laws. The Tesco supermarket chain is involved in litigation such as the Ward v Tesco Stores Ltd and Tesco Supermarkets Ltd v Nattrass cases. Tesco have been criticized for aggressively pursuing critics of the company in Thailand. Writer and former MP Jit Siratranont faced up to two years in jail and a £16.4 million libel damages claim for saying that Tesco was expanding aggressively at the expense of small local retailers. Tesco served him with writs for criminal defamation and civil libel. The Thai court dismissed the case, ruling that the criticism made by the defendant was 'in good faith by way of fair comment on any person or thing subjected to public criticism'. In November 2007, Tesco sued a Thai academic and a former minister for civil libel and criminal defamation, insisting that the two pay £1.6 million and £16.4 million plus two years' imprisonment respectively. They have been alleged to have misstated that Tesco's Thai market amounts to 37% of its global revenues, amongst criticism of Tesco's propensity to put small retailers out of business. In August 2013, Tesco was fined £300,000 after admitting that it misled customers over the pricing of "half price" strawberries. In 2007, Tesco was placed under investigation by the UK Office of Fair Trading (OFT) for acting as part of a cartel of five supermarkets (Safeway, Tesco, Asda, Morrisons and Sainsburys) and a number of dairy companies to fix the price of milk, butter and cheese. In December 2007, Asda, Sainsburys and the former Safeway admitted that they acted covertly against the interests of consumers while publicly claiming that they were supporting 5,000 farmers recovering from the foot-and-mouth crisis. They were fined a total of £116 million. In May 2007, it was reported that Tesco had moved the head office of its online operations to Switzerland. This allows it to sell CDs, DVDs and electronic games through its web site without charging value-added tax (VAT). The operation had previously been run from Jersey, but had been closed by authorities who feared damage to the island's reputation. In June 2008, the government announced that it was closing a tax loophole being used by Tesco. The scheme, identified by British magazine Private Eye, utilized offshore holding companies in Luxembourg and partnership agreements to reduce corporation tax liability by up to £50 million a year. Another scheme previously identified by Private Eye involved depositing £1 billion in a Swiss partnership, and then loaning that money to overseas Tesco shops, so that profit could be transferred indirectly through interest payments. This scheme was still in operation in June 2008[update] and was estimated to be costing the UK exchequer up to £20 million a year in corporation tax. Tax expert Richard Murphy has provided an analysis of this avoidance structure. Tax avoidance has not always related to corporation tax. A number of companies including Tesco used a scheme to avoid VAT by deeming 2.5% of purchases paid for by card to be a 'card transaction fee', which reduced the company's tax liability without changing the charge to the customer. Such schemes came to light after HMRC litigated against Debenhams over the scheme in 2005. Tesco's expansion has been criticised, and in some cases actively opposed. In March 2007, residents in Bournville, Birmingham fought to maintain the historic alcohol-free status of the area, in winning a court battle with Tesco, to prevent it selling alcohol at their local outlet. No shops are permitted to sell alcohol in the area and there are no pubs, bars or fast-food outlets in Bournville due to its Quaker roots. Plans for a large Tesco shop in St Albans, Hertfordshire, attracted widespread local opposition. This led to the formation of the "Stop St Albans Tesco Group". In June 2008, St Albans Council refused planning permission for the proposed new shop. In April 2011, longstanding opposition to a Tesco Express shop in Cheltenham Road, Stokes Croft, Bristol, evolved into a violent clash between opponents and police. The recently opened shopfront was heavily damaged, and police reported the seizure of petrol bombs. Opponents have suggested that the shop would damage small shops and harm the character of the area. In January 2013, the British media reported that horse meat had been found in some meat products sold by Tesco, along with other retailers, particularly burgers. Prime Minister David Cameron called this "unacceptable", with products showing 29.1% horse meat in the "Value" range burger, which were supposed to be beef. It was later revealed in February 2013 that some of Tesco's Everyday Value Spaghetti Bolognese contained 60% horse meat. Tesco withdrew 26 of its products in response, and announced that they were working with authorities and the supplier to investigate the cause of the contamination. In July 2013, Tesco security staff violated the UK Equality Act 2010 by refusing to allow a blind lady's guide dog to enter the Feltham shop. Tesco staff refused to apologise for the violation of the law for 5 days. It was also reported that security staff had thrice previously ordered a different blind person and his guide dog to leave the shop. Following a further incident in 2013 when the manager of Tesco in Sutton ordered a blind person and her guide dog to leave the shop, Tesco stated that their staff had received training to ensure that such an incident would not happen again. A year later in 2014 three Tesco cashiers banned a blind person and her dog from their shop. In 2014, The Guardian reported that Tesco is a client of Charoen Pokphand Foods. Over 6 months The Guardian traced the whole chain from slave ships in Asian waters to leading producers and retailers. Tesco has been targeted by protesters complaining the supermarket chain sells goods made in Israel, with most complaints being about products emanating from Israeli settlements in the West Bank. Protests generally occur when Israeli military operations are being carried out in the Gaza Strip or the West Bank. A protester was arrested at a protest at a shop in Birmingham on 16 August 2014. Searchlight magazine said it was "horrified" to discover anti-semitic books by US extremist publisher Liberty Bell on the Tesco website. Titles offered for sale included The Hitler We Loved and Why, The International Jew and The Protocols of the Elders of Zion. Searchlight found another 106 titles by British-based publisher Steven Books which it describes as "so extreme that even the British National Party does not sell them". The shop said in a statement: "Tesco.com has over one million book titles covering a wide range of subjects. We are unhappy that titles which could cause offence to some customers have found their way on to our site and took immediate action to remove them once they were brought to our attention." Tesco's financial crisis of 2014 led to their reducing their capital expenditure on new shops, which led to the boarding up of new unopened shops in Chatteris, Cambridgeshire and Immingham, Lincolnshire. The controversial Chatteris mothballing caused local criticism after the £22 million project had re-routed a river and built a controversial roundabout and underpass, whereas the much anticipated Immingham development demolished a local shopping centre and closed several local shops to enable its construction. The impending arrival of Tesco also contributed to the Co-operative's decision to close their shop in the town. Tesco's announcing the indefinite delay in their shop opening left the town of around 15,000 inhabitants without a supermarket. Tesco went ahead with the opening of shops in Little Lever, Dunfermline and Rotherham. On 17 July 2015 Tesco disabled their online photo site as part of a precautionary security measure. This coincided with several other retailers, including CVS and Walmart Canada, shutting down similar services regarding a security breach at PNI Digital Media. The UK Groceries Code Adjudicator found in a 2015–16 investigation into Tesco that some suppliers paid "large sums of money in exchange for category captaincy or participation in a price review". She found some evidence of benefits which suppliers derive from these arrangements, but also recorded a concern—to be investigated further—as to whether the purpose of the Groceries Code was being circumvented by these payments. ^ a b c d e f "Preliminary Results 2018" (PDF). Tesco plc. Retrieved 10 March 2019. ^ "Tesco Key Facts". Tesco plc. Retrieved 10 March 2019. ^ Potter, Mark (16 February 2011). "Tesco to outpace growth at global rivals – study". Reuters. Retrieved 25 February 2011. ^ "Global Powers of Retailing 2010" (PDF). Deloitte. Archived from the original (PDF) on 15 February 2013. Retrieved 18 August 2010. ^ "Tesco, Coop és CBA a Toplista élén - Trademagazin". trademagazin.hu. Retrieved 21 March 2015. ^ "Our businesses". Tesco PLC. Retrieved 13 April 2018. ^ Finch, Julia (2 February 2010). "Tesco opens its first zero carbon store". The Guardian. UK. Retrieved 1 September 2010. ^ a b c d "Tesco: How one supermarket came to dominate". BBC News. Retrieved 18 October 2014. ^ a b c d e "History". Tesco PLC. Retrieved 22 January 2015. ^ a b Hosken, Andrew (2007). Nothing Like a Dame: The Scandals of Shirley Porter. Granta. ^ a b Ryle, Sarah (2013). The Making of Tesco: A story of British Shopping. Random House. ^ "Sir John Edward Cohen at Oxford Dictionary of National Biography". Oxforddnb.com. Retrieved 18 April 2013. ^ Hawkes, Steve (13 January 2012). "Tesco vows shake-up as shares crash by £5billion". London: The Sun. Retrieved 18 April 2013. ^ "Tesco share price". telegraph.co.uk. Retrieved 4 August 2014. ^ "Tesco PLC: Overview". Retrieved 17 August 2007. ^ "TESCO in 2003". ICFAI. Retrieved 13 November 2014. ^ a b O'Grady, Sean (16 December 2001). "Shirley Porter: Rich, flashy and corrupt with it. She's nothing like a Dame". The Independent. London. Archived from the original on 8 September 2011. Retrieved 13 December 2009. ^ Pagano, Margareta (16 May 1987). "Shocked Hillards attacks greed of Prudential: Hartley disgusted with institutions after Tesco wins takeover battle". The Guardian. the sun. ^ "Tesco to spend pounds 65m developing Wm Low shops". The Independent. 20 September 1994. Retrieved 27 March 2016. ^ "Business as usual for Sir Terry after 10 years in charge". Birmingham Post. Midland Independent Newspapers. 22 February 2007. p. 24. ^ Buckley, Neil (22 November 1995). "People: Leahy rings Tesco's tills". Financial Times. London. p. 40. ^ Cunningham, Sarah (22 March 1997). "Tesco pays £630m for ABF's Irish business". The Times. Times Newspapers. ^ "Tesco's Irish move approved". Financial Times. London. 7 May 1997. ^ Savill, Richard (12 June 2001). "Tesco bomb blackmailer is jailed for 16 years". The Daily Telegraph. London. Retrieved 12 April 2011. ^ Tim Clark (15 April 2008). "A-history-of-Tesco-The-rise-of-Britains-biggest-supermarket". telegraph.co.uk. Archived from the original on 29 August 2011. ^ Helft, Miguel (2001). "Tesco buys stake in GroceryWorks". The Industry Standard. Archived from the original on 28 April 2008. ^ "Convenience boost for Tesco – Tesco PLC acquires One Stop, Day and Nite convenience shops from T. and S. Stores PLC". Eurofood. 7 November 2002. Archived from the original on 28 June 2006. ^ "Tesco buys Japanese retailer". BBC News. 10 June 2003. Retrieved 18 October 2014. ^ "Tesco snaps up Cullens and Europa". BBC News. 22 January 2004. Retrieved 18 October 2014. ^ Tran, Mark (26 September 2005). "Tesco buys 21 Morrisons Petrol Filling Stations". The Guardian. London. ^ "Tesco in Poland Bid". ^ "Tesco to enter United States". Archived from the original on 14 April 2006. Retrieved 13 March 2006. ^ "Tesco signs film-making joint venture". BBC News. 25 January 2010. Retrieved 19 April 2011. ^ Thorpe, Vanessa (24 January 2010). "Tesco sets up film studio to adapt hit novels". The Guardian. London. Retrieved 19 April 2011. ^ "Tesco profits fall as supermarket pulls out of US". BBC News. 17 April 2013. ^ Pfeifer, Stuart (10 September 2013). "Ron Burkle's Yucaipa buying Fresh & Easy stores from Tesco". Los Angeles Times. Retrieved 29 March 2014. ^ "Tesco Launches Its First Android Jelly Bean Powered 7in Hudl Budget Tablet". CEOWORLD Magazine. 23 September 2013. Archived from the original on 26 September 2013. Retrieved 23 September 2013. ^ "Tesco buys Giraffe restaurants". BBC. 13 March 2013. Retrieved 2 June 2014. ^ Craven, Neil (29 November 2014). "Tesco takes back control of in-shop cafes to win back customers as larger 'superstores' lose ground to Aldi and Lidl". Mail on Sunday. Retrieved 9 March 2015. ^ Rankin, Jennifer (1 September 2014). "New Tesco boss Dave Lewis starts work as share price falls". The Guardian. London. Retrieved 22 January 2015. ^ Wood, Zoe (8 January 2015). "Tesco chief unveils dramatic shakeup at troubled supermarket". The Guardian. London. Retrieved 22 January 2015. ^ a b "Tesco names 43 UK store closures". BBC News. 28 January 2015. Retrieved 28 January 2015. ^ a b Molloy, Antonia (8 January 2015). "Tesco sells Blinkbox and broadband service to TalkTalk". The Independent. London. Retrieved 22 January 2015. ^ Glenday, John (26 January 2015). "Tesco sells Blinkbox Music to Guvera". The Drum. Retrieved 28 January 2015. ^ Armstrong, Ashley (26 January 2015). "Tesco gives up on e-books as it closes Blinkbox Books". The Daily Telegraph. London. Retrieved 28 January 2015. ^ "Tesco starts sell-off ahead of results with Asian disposal". BBC News. 12 April 2016. Retrieved 12 April 2016. ^ "Tesco reaches agreement with Booker in £3.7bn merger deal". STV News. 27 January 2017. Retrieved 20 February 2017. ^ Walker, Ian. "Tesco International CEO to leave after 38 years". MarketWatch. Retrieved 20 March 2017. ^ "Tesco to offload opticians' business to Vision Express". BBC News. 19 April 2017. Retrieved 19 April 2017. ^ "Tesco to axe 1,200 head office jobs". BBC News. 28 June 2017. Retrieved 29 June 2017. ^ "Tesco cost cuts to hit 9,000 jobs". BBC News. 28 January 2019. Retrieved 28 January 2019. ^ "Preliminary Results 2017" (PDF). Tesco plc. Retrieved 24 April 2017. ^ "AEW Architects". AEW Architects. Archived from the original on 22 May 2013. Retrieved 16 August 2011. ^ Sparks, Dave; JDG Media (14 April 2013). "Warrington Wolves | Halliwell Jones Stadium Ground Guide". Loverugbyleague.com. Retrieved 18 April 2013. ^ "New St Helens Rugby League Stadium". Barr-construction.co.uk. 23 August 2010. Archived from the original on 10 June 2013. Retrieved 18 April 2013. ^ "First shop to be branded 'Tesco Superstore'". Retail Week. ^ Ruddick, Graham (5 August 2013). "Tesco creates new family carvery restaurant". The Telegraph. Retrieved 3 January 2017. ^ "Mystery shop: Tesco vs. Tesco Express". Confused.com. Archived from the original on 29 December 2011. Retrieved 29 May 2013. ^ "New Tesco Metro in Bournemouth is set to open". Bournemouth Echo. 12 January 2011. Retrieved 14 April 2017. ^ Leroux, Marcus (22 March 2010). "Tesco's secret chain charges customers more – Times Online". The Times. UK. Retrieved 11 November 2010. ^ "Tesco bids for a virtual supermarket sweep". The Independent. 24 February 2012. Retrieved 17 March 2018. ^ Kelly, Denise Winterman and Jon (16 September 2013). "Online shopping: The pensioner who pioneered a home shopping revolution". BBC News. Retrieved 24 April 2017. ^ Merrill, Jamie (15 September 2013). "Forget eBay and Amazon. It was a Gateshead pensioner who started the online shopping revolution". The Independent. Retrieved 24 April 2017. ^ "Videotex takes Gateshead Teleshopping into the home". The Incorporated Engineer, Journal of the IEEIE London: 6. September 1984. ^ Walker, Gaelle (11 November 2006). "Online failing to deliver". The Grocer. William Reed Publications. p. 6. ^ Winterman, Denise (9 September 2013). "Tesco: How one supermarket came to dominate". BBC News. BBC. Retrieved 9 December 2013. ^ "Tesco Clubcard". Virgin Atlantic. Retrieved 22 January 2015. ^ "Esso fuels Tesco's expansion". BBC News. 21 August 1998. Retrieved 23 January 2015. ^ Wood, John (20 September 2013). "Roll-out of Tesco Clubcard reaches 800 Esso sites". Forecourt Trader. Retrieved 23 January 2015. ^ Butler, Sarah (19 September 2018). "Tesco opens discount store Jack's to take on Lidl and Aldi". the Guardian. Retrieved 19 September 2018. ^ "Why is Tesco buying Budgens' owner – and will it affect shoppers?". The Guardian. 27 January 2017. Retrieved 12 April 2018. ^ Thelwell, Emma; Butterworth, Myra (28 July 2008). "Tesco eyes mortgages and current accounts in plan to take on UK's high street banks". The Daily Telegraph. London. Retrieved 28 July 2008. ^ Brian, Matt (19 January 2011). "Tesco Mobile reaches 2.5 million subscribers, reminds us it has shops in South Korea". The Next Web. Retrieved 23 January 2015. ^ Wray, Richard (30 August 2004). "Tesco joins broadband fray". The Guardian. London. Retrieved 23 January 2015. ^ Smithers, Rebecca (21 March 2016). "Why has Tesco suddenly ditched me as a broadband customer?". The Guardian. Retrieved 31 December 2016. ^ Hall, James (14 December 2007). "Tesco to tackle home IT support with Guys". The Daily Telegraph. London. Retrieved 23 January 2015. ^ "Who we are". Tesco Tech Support. Archived from the original on 22 March 2016. Retrieved 27 March 2016. ^ Ryle, Sarah (2013). The Making of Tesco: A Story of British Shopping. Random House. pp. 58, 74, 208. ISBN 9781448127474. ^ Mason, Robert; Evans, Barry (2015). The Lean Supply Chain: Managing the Challenge at Tesco. Kogan Page. p. 32. ISBN 9780749472085. ^ Darker, John (11 July 1975). "Tesco plans for the Eighties". Commercial Motor: 55. ^ Prynn, Jonathan (31 May 2005). "New Tesco shops that don't sell food". Evening Standard. Retrieved 20 September 2015. ^ "Tesco 'set to wind up Home Plus'". AOL Money. 23 January 2012. Archived from the original on 23 January 2015. Retrieved 22 January 2015. ^ "Tesco to close last six UK Homeplus stores with loss of 450 jobs". The Guardian. Reuters. 12 May 2015. Retrieved 26 August 2015. ^ "Tesco sells Dobbies Garden Centres for £217m". BBC. 17 June 2016. Retrieved 18 June 2016. ^ Neate, Rupert (8 August 2012). "Tesco's coffee shop chain to go under Harris and Hoole banner". The Guardian. London. Retrieved 18 April 2013. ^ Davey, James (10 February 2016). "Tesco takes full control of Harris+Hoole coffee chain". Reuters. Retrieved 13 April 2016. ^ "Tesco sheds Harris & Hoole coffee shops". Financial Times. 23 June 2016. Retrieved 18 July 2016. ^ "Tesco sells Giraffe restaurant chain and Turkish business". BBC News. 10 June 2016. Retrieved 10 June 2016. ^ Smolen, Bronya (14 April 2015). 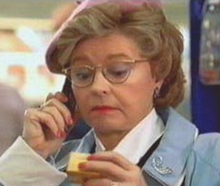 "Exclusive: Tesco buys Euphorium Bakery". Bakery Info. Retrieved 3 January 2017. ^ "Tesco sells Euphorium bakery business". BBC News. 26 August 2016. Retrieved 3 January 2017. ^ "Tesco Preliminary Results 2006" (PDF). Tescocorporate.com. Archived from the original (PDF) on 17 May 2006. Retrieved 16 August 2011. ^ "Tesco sells South Korea stores for £4bn - BBC News". BBC News. 7 September 2015. Retrieved 13 June 2016. ^ Liptrot, Hannah (3 June 2005). "Tesco: Supermarket superpower". BBC. ^ "Tesco's still pushing discount products to fight back competitors". Household & Leisure. 15 January 2009. Archived from the original on 26 January 2015. Retrieved 13 September 2014. ^ "Tesco's 'Steering Wheel' Strategy". ICMR. 2005. ^ "Human Resources – Tesco Careers". ^ "Tesco – CIO 100 Company – CIO UK Magazine". Cio.co.uk. Retrieved 16 April 2010. ^ "Tesco storm the US with Box offering – In-Depth – CIO UK Magazine". Cio.co.uk. Retrieved 16 April 2010. ^ "Technology helps Tesco beat crunch". Cio.co.uk. Retrieved 16 April 2010. ^ "Tesco announces plans to widen roll-out of its PayQwiq payment app nationally". thegrocer.co.uk. Retrieved 11 October 2016. ^ Wearden, Graeme (20 April 2010). "Tesco rings up record profits". The Guardian. London. Retrieved 20 April 2010. ^ Wood, Zoe (5 October 2011). "Tesco's UK sales slide as consumers cut non-essential spending". The Guardian. London. Retrieved 5 October 2011. Tesco has reported its weakest six-monthly UK sales figures for 20 years as higher food and fuel costs contributed to stark decline in spending on non-essentials such as gadgets, CDs and games in its stores. ^ Ahmed, Kamal (22 October 2014). "Tesco, what went wrong?". BBC News. Retrieved 23 January 2015. ^ "Warren Buffett admits Tesco investment 'a huge mistake'". Financial Times. 2 October 2014. Retrieved 3 October 2014. ^ "Tesco suspends execs as inquiry launched into profit overstatement". BBC News. 22 September 2014. Retrieved 29 October 2014. ^ "Tesco suspends three more top staff". BBC News. 14 October 2014. Retrieved 29 October 2014. ^ "Serious Fraud Office starts Tesco criminal investigation". BBC News. 29 October 2014. Retrieved 29 October 2014. ^ "Asda's Market Share At All-Time High; Tesco's Slips Again". Kam City. Archived from the original on 23 April 2012. ^ Davey, James (18 April 2012). "Tesco curbs UK expansion to focus on revival". Reuters (UK). Retrieved 18 April 2013. ^ Wallop, Harry (16 April 2007). "£1 in every seven now spent in Tesco". The Daily Telegraph. London. Retrieved 18 April 2013. ^ "Tesco accused of 'near monopoly'". BBC News. 17 January 2006. ^ "Inverness: Tescotown". Retrieved 13 March 2006. ^ Martin, Lorna (1 January 2006). "The supermarket that ate a town". The Observer. London. ^ Butler, Sarah. "Tesco timeline - the highs and lows of the UK's biggest retailer". The Guardian. London. Retrieved 21 March 2015. ^ "PDF of The 2006 Giving List" (PDF). The Guardian. London. Retrieved 18 March 2007. ^ "FTSE 100 companies reduce charity giving". Third Sector. 8 November 2006. Archived from the original on 26 March 2012. ^ "The Work Foundation praises Tesco". The Work Foundation. Archived from the original on 5 October 2007. Retrieved 18 March 2007. ^ "Intelligent Giving criticises Tesco's staff giving policies". Intelligent Giving. Retrieved 18 March 2007. ^ "BITC – Tesco Computers for Schools". Archived from the original on 4 November 2005. Retrieved 19 January 2006. ^ O'Halloran, Marie (25 July 2009). "Unicef accuses Tesco of misusing charity slogan". The Irish Times. ^ McBride, Louise (26 July 2009). "Tesco in clash with Unicef". The Irish Independent. Dublin. ^ "Welcome". Go Cruelty Free. Archived from the original on 6 June 2007. Retrieved 18 April 2013. ^ "Tesco gets suppliers collaborating on carbon emissions online". Retailtimes.co.uk. 3 June 2011. Retrieved 28 August 2011. ^ "Banned pesticides detected on vegetables in Tesco and other supermarkets in China". Greenpeace East Asia. 8 September 2011. Retrieved 30 September 2011. ^ "Old Tesco advert - Checkout 82". Tesco. Retrieved 14 April 2017. ^ "Dudley Moore's search for some chickens (early 90s TESCO ads)". Tesco. Retrieved 14 April 2017. ^ Malkin, Bonnie (14 November 2007). "Spice Girls go shopping at Tesco". The Daily Telegraph. London. Retrieved 19 September 2010. ^ "Tesco recommits to 'Every Little Helps' tagline in major new ad campaign". The Retail Bulletin. 19 October 2015. Retrieved 14 April 2017. ^ "Mag ABCs: Full circulation round-up for the first half of 2013". Press Gazette. 15 August 2013. Retrieved 10 July 2014. ^ "Tesco petrol stations use face-scan tech to target ads". BBC News. 4 November 2013. Retrieved 4 November 2013. ^ "Tesco's plan to tailor adverts via facial recognition stokes privacy fears". The Guardian. Press Association. 4 November 2013. Archived from the original on 7 November 2013. ^ "UK grocers face competition probe". BBC. 22 January 2007. Retrieved 21 February 2007. ^ "Tesco 'breaching planning laws'". BBC. 18 August 2006. Retrieved 21 February 2007. ^ Sweney, Mark (18 June 2009). "Thai court dismisses Tesco libel case against former MP". The Guardian. London. ^ MacKinnon, Ian; Leigh, David (8 April 2008). "Tesco sues critic of its expansion in Thailand for £16.4m damages". The Guardian. London. ^ "Tesco fined over 'half-price' strawberries claim". BBC News. Retrieved 21 March 2015. ^ "Tesco threatens legal action over OFT dairy price-fixing fine". The Guardian. London. 10 August 2011. Retrieved 27 March 2012. ^ a b Foxwell, Andrew; Mills, Lauren (13 May 2007). "'Green' Tesco's Swiss tax dodge". Mail on Sunday. ^ a b c Leigh, David (14 June 2008). "Government outlaws tax avoidance schemes". The Guardian. UK. ^ Murphy, Richard (1 June 2008). "Tescos: the Zug deal is tax avoidance". ^ Brooks, Richard (2013). The Great Tax Robbery. London: Oneworld. p. 297. ISBN 978-1-78074-371-4. ^ Kirby, Terry (27 March 2007). "Teetotal Bournville takes pledge against Tesco". The Independent. London. Archived from the original on 17 July 2010. Retrieved 16 April 2010. ^ "Tesco may appeal". St Albans Review. 30 June 2008. ^ "Police hurt in violent anti-Tesco clashes in Bristol". BBC News. 22 April 2011. Retrieved 22 April 2011. ^ Onyanga-Omara, Jane (22 April 2011). "Chaos in Bristol's 'cultural quarter'". BBC News. Retrieved 22 April 2011. ^ Meikle, James; McDonald, Henry (16 January 2013). "Cameron tells supermarkets: horsemeat burger scandal unacceptable". The Guardian. London. Retrieved 18 April 2013. ^ "Video: Horse meat found in burgers on sale in Tesco". The Daily Telegraph. London. 16 January 2013. Retrieved 18 April 2013. ^ "Horsemeat scandal: Tesco reveals 60% content in dish". BBC News. 11 February 2013. Retrieved 11 February 2013. ^ Glotz, Julia. "Horse meat scandal: 26 Tesco lines withdrawn". The Grocer. Retrieved 22 January 2013. ^ Patel, Salina (11 July 2013). "Tesco tells blind girl to leave guide dog outside". Retrieved 14 April 2017. ^ "Tesco tells blind woman to leave because of her guide dog". Lancashire Telegraph. Retrieved 14 April 2017. ^ "Tesco staff reduce blind woman to tears telling her to 'get guide dog". The Independent. 17 October 2014. Retrieved 14 April 2017. ^ Hodal, Kate; Kelly, Chris; Lawrence, Felicity (10 June 2014). "Revealed: Asian slave labour producing prawns for supermarkets in US, UK". The Guardian. London. Retrieved 11 June 2014. ^ "Gaza protesters hit Tesco shop in Birmingham". Big News Network.com. 17 August 2014. Retrieved 17 August 2014. ^ "Tesco pulls anti-Semitic books". irishtimes.com. 26 November 2005. Retrieved 10 April 2018. ^ "Tesco risks being famous for being broken". Marketing Week. Retrieved 18 October 2014. ^ "Tesco mothballs second big store opening as crisis leaves supermarket giant wary of expansion". This is Money. Retrieved 18 October 2014. ^ "Tesco delays opening of new Immingham store - for second time". Grimsby Telegraph. Archived from the original on 9 September 2014. Retrieved 18 October 2014. ^ "Delay to new Tesco and Aldi supermarkets in Immingham fuels anger among shoppers". Grimsby Telegraph. Archived from the original on 3 August 2015. Retrieved 18 October 2014. ^ Robertson, Neil. "First look inside new £4 million Little Lever Tesco". The Bolton News. ^ "Tesco store ready to celebrate opening". Dunfermline Press. ^ Austen, Tom. "New Rotherham Tesco open for Christmas". rothbiz.co.uk. ^ "Tesco Photo halts operations after customer credit card data breach scare". Amateur Photographer. 22 July 2015. Retrieved 27 March 2016. ^ "Retailers Suspend Online Photo Centers Due to Possible Breach - SecurityWeek.Com". Retrieved 27 March 2016. MacLaurin, Sir Ian (1999). Tiger by the Tail: A Life in Business from Tesco to Test Cricket. London: Pan Books. ISBN 0-330-37371-4. Simms, Andrew (2007). Tescopoly: How one shop came out on top and why it matters. London: Constable. ISBN 1-84529-511-0. Humby, Clive; Hunt, Terry; Phillips, Tim (2006). Scoring points: How Tesco continues to win customer loyalty. London & Philadelphia: Kogan Page. ISBN 978-0-7494-4752-6. Nash, Bethany (2006). Fair-Trade and the growth of ethical consumerism within the mainstream: an investigation into the Tesco consumer. Leeds: University of Leeds. OCLC 75272130. Leahy, Terry (2012). Management in 10 Words. London: Random House. ISBN 1847940897. 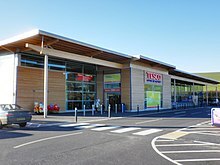 Wikimedia Commons has media related to Tesco. This page was last edited on 21 April 2019, at 18:00 (UTC).